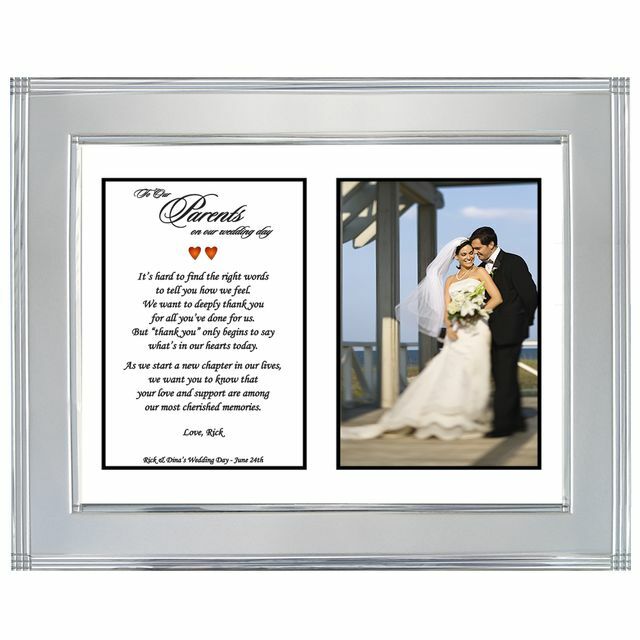 A wedding thank you gift for parents that will show your appreciation on your wedding day. Personalize this touching poem with your names & wedding date to create a lasting thank you gift that mom & dad and your inlaws will treasure for years to come. 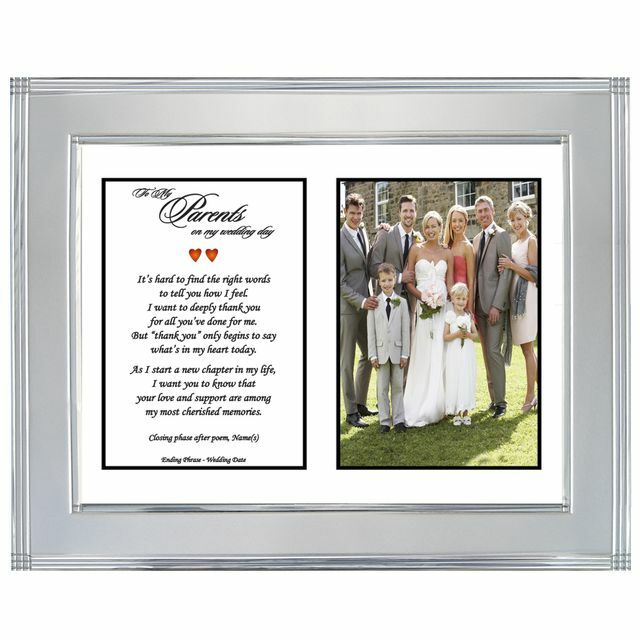 The poem is presented in a lovely design in a matted frame with room for a wedding photo. Your wedding day is not only the most important day of your life, it is one of the most important events in your parents' lives. 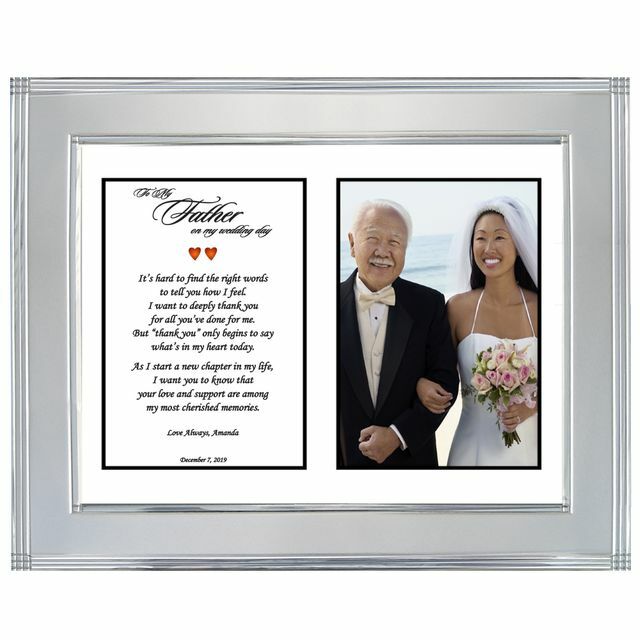 Now you can tell them how much you appreciate them and everything they have done for you throughout your life with this unique wedding present for parents and in-laws. Add a photo of the two of you before the wedding and it can be changed to wedding photo later. to tell you how we feel. for all you’ve done for us. what’s in our hearts today. are among our most cherished memories. My husband and I gave one of these frames to our parents at the rehearsal dinner. They were really touched. This is such an AWESOME idea... I could not be any happier than I am right now... My wedding can go on with me feeling like I honored my parents!!! Thank you! !